All too often, cities are defined by their tragedies. Disaster strikes, communities try to heal, and if the city is strong enough — they rebuild. The Great Fire of London, the Halifax Explosion, New Orleans and Hurricane Katrina — these have all shaped the cities they impacted and the events have become part of the shared identity of the citizens who live there. The same can be said for the city of San Francisco, and the Great Earthquake that struck in 1906. Now, we know that San Francisco and a large part of California are in an earthquake-prone area. The San Andreas Fault, which runs through California from Cape Mendocino to the Mexican border, has been responsible for many tremors of its own, but this particular quake — the epicenter of which occurred in the Pacific Ocean just 2 miles west of San Francisco (technically, the San Andreas Fault doesn’t go through San Francisco) — is remembered for being far more destructive than the average tremor. 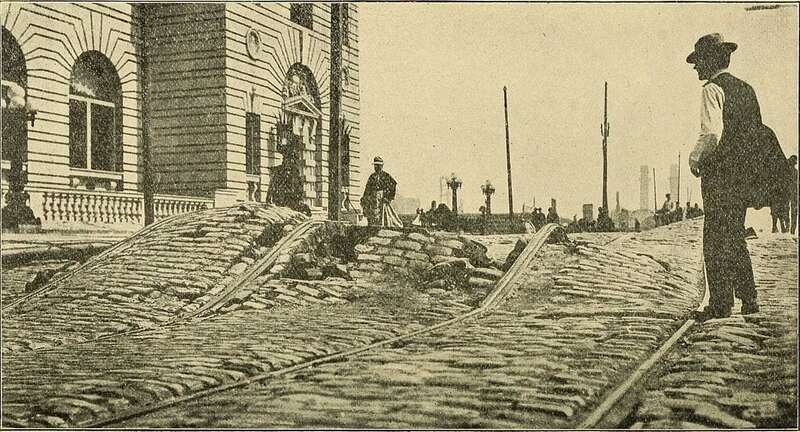 Union Street car line – showing displacement of made ground. Let’s start by setting the stage. 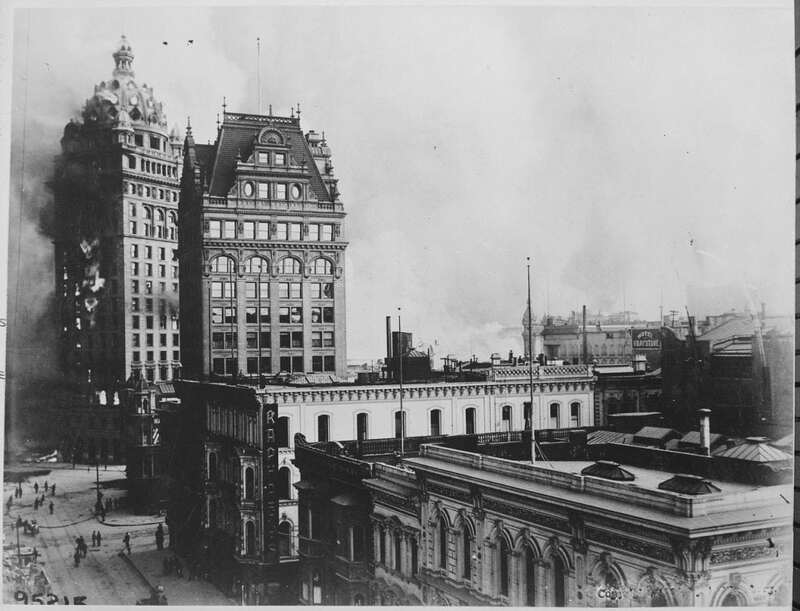 1906 is well over a century ago, and the San Francisco of that time was quite a bit different than the one we might think of now. Despite its changes however, it was still impressive as far as the cities of its day were concerned. 1906 San Francisco had a population of about 410,000. 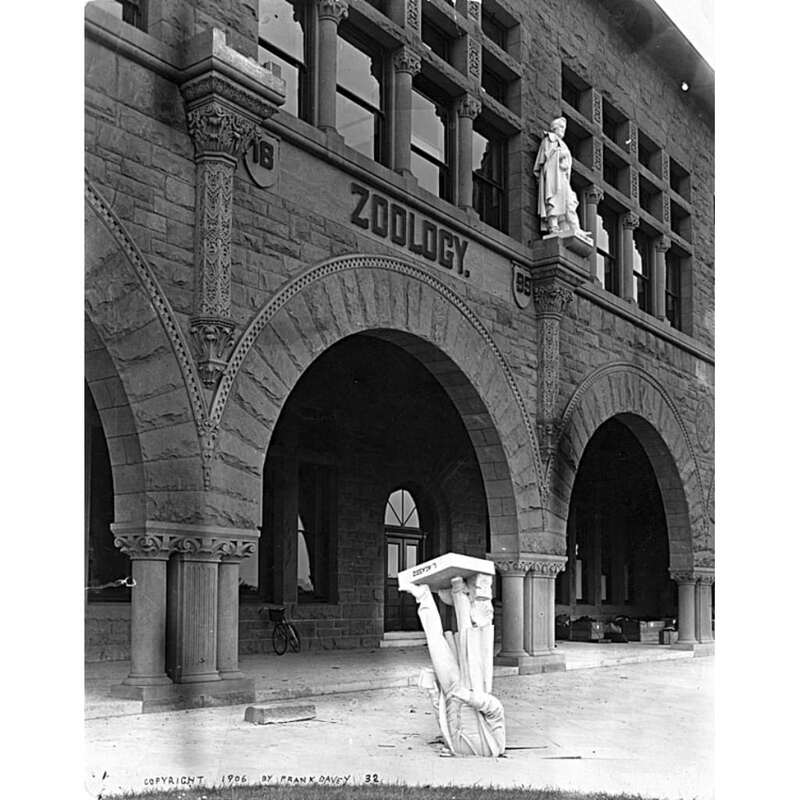 It was the busiest port on the West Coast and had become a financial and cultural center of the Western US. Essentially, the city was the american gateway to the Pacific, so even though it was smaller than present day, it was no less important. 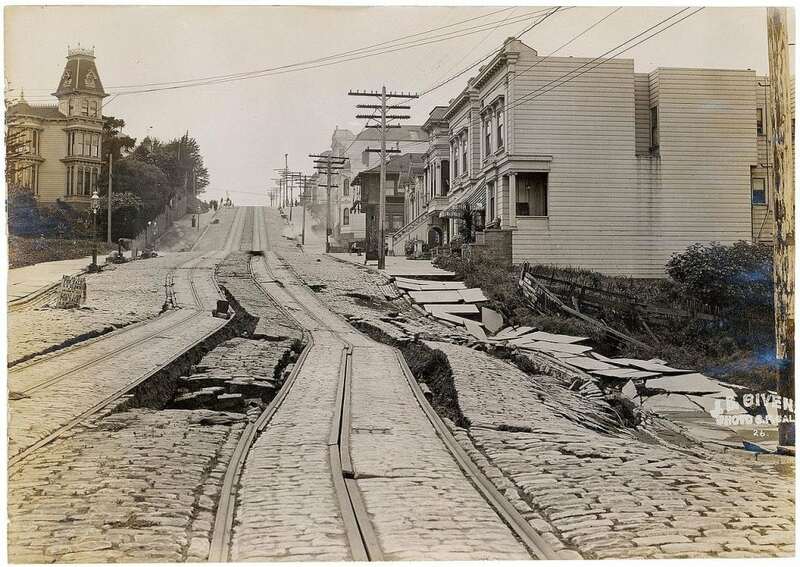 Knowing how large and significant San Francisco was in 1906, perhaps it’s not surprising that the earthquake is still remembered. After all, over 80% of the city was destroyed by the earthquake and the subsequent fires that resulted. 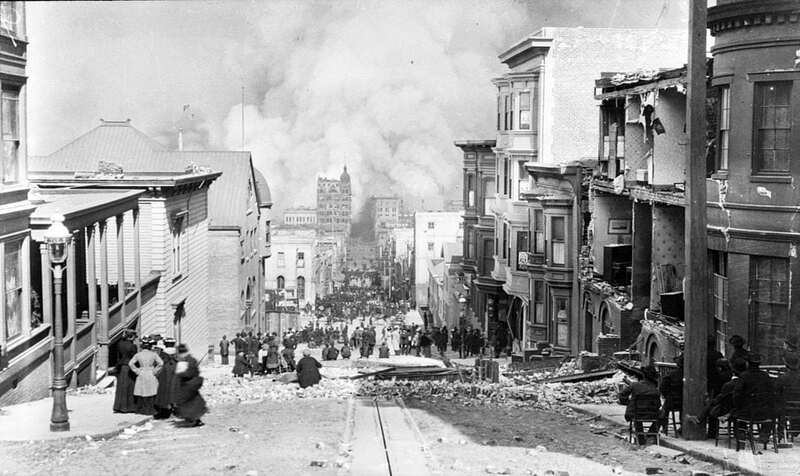 At 5:12 a.m. Pacific time, April 18, 1906, an earthquake occurred off the shore of San Francisco. 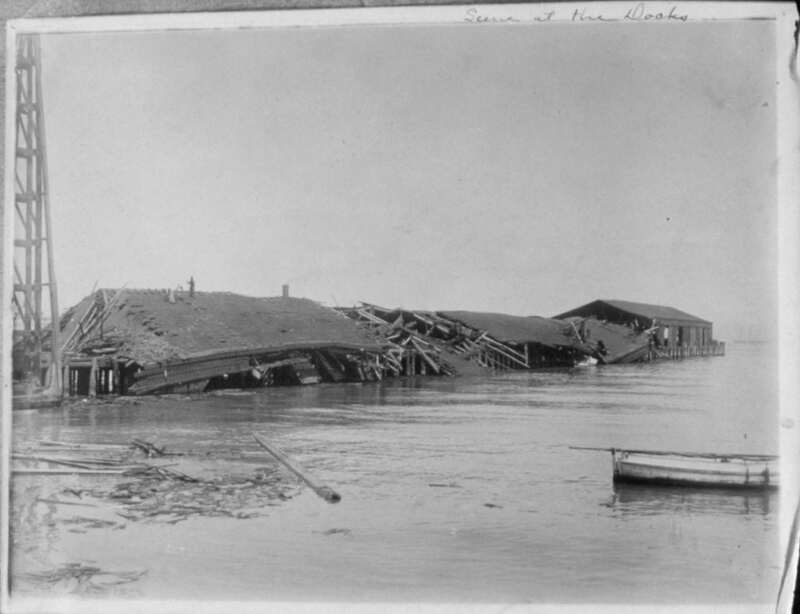 Even more than a century later, the resulting devastation is still considered one of the worst natural disasters in US history. While the damage was fairly localized, tremors were felt for a much larger distance, with shaking reported as far north as Oregon, as far south as Los Angeles and as far east as central Nevada. In many ways it’s a challenge to state the actual size and impact of the earthquake. 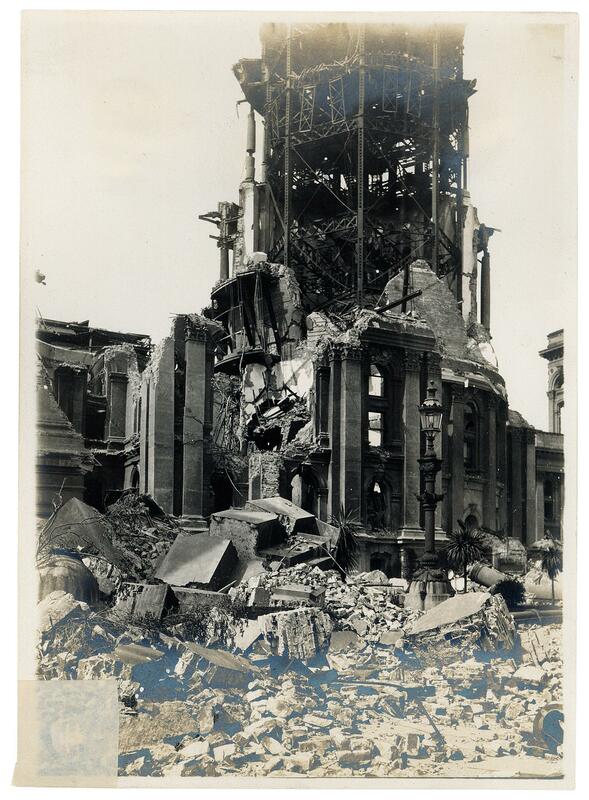 Firstly, the San Francisco earthquake predated the development of the modern Richter scale for measuring earthquakes — by three decades. Based on data recorded in observatories around the world, the quake was initially estimated at a magnitude of 8.3 but was later revised to between 7.7 and 7.9 in magnitude as the numbers were re-evaluated. The challenges of measuring impact don’t end at the size of the earthquake either; they even extend to the casualty total. 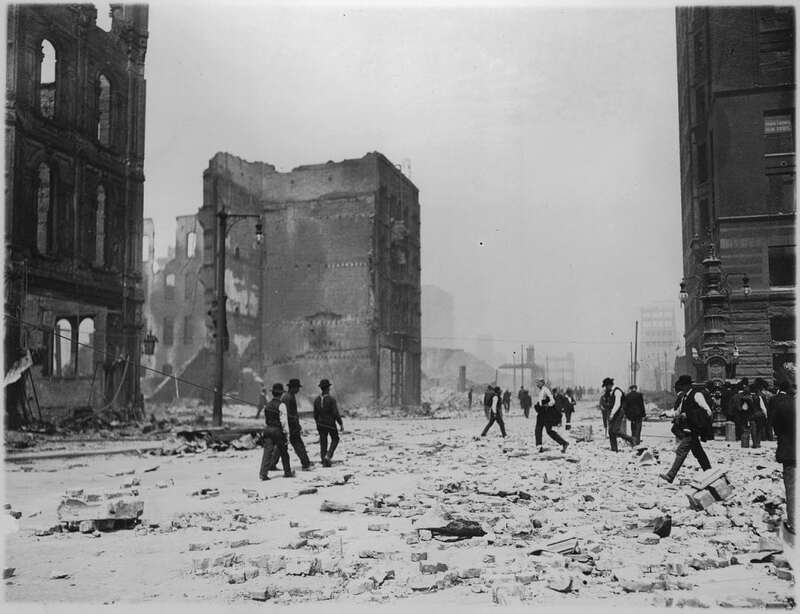 San Francisco was home to the first Chinatown in North America, and fatalities in that area were poorly reported due in no small part to racism and chaos following the quake. Estimates for casualties from the earthquake vary from approximately 700 to over 3000. In many ways though, the earthquake was just a prelude to what was to follow. 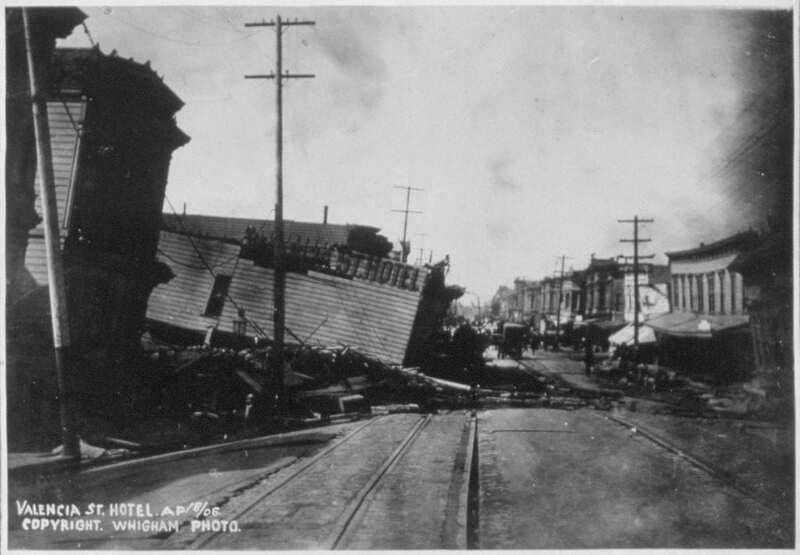 By damaging buildings and infrastructure, the earthquake had set the stage for further devastation. 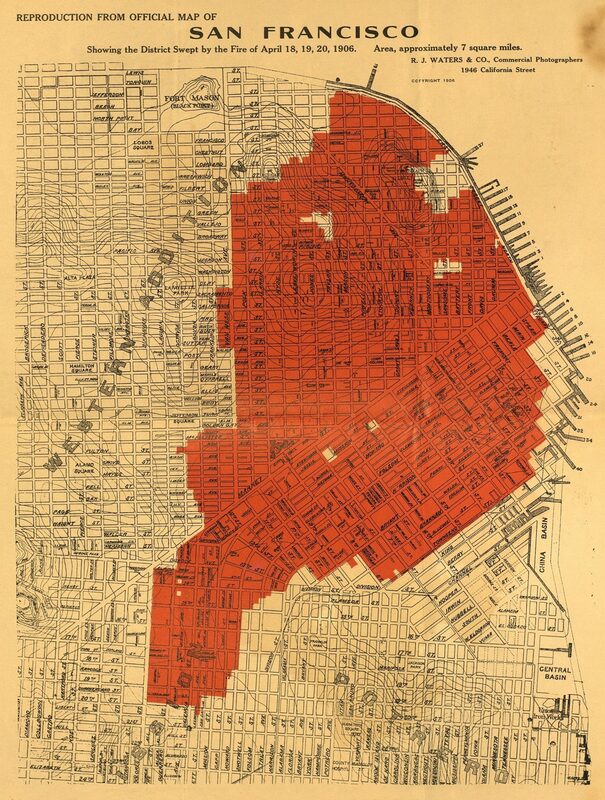 A map of San Francisco’s fire after the 1906 earthquake. When harnessed correctly, it is a tool that can be wielded to provide light, heat, and protection, not to mention a method in which to cook your food; when left unchecked however, it can be one of the most destructive forces in nature: fire. View of the ruined tower of the City Hall. 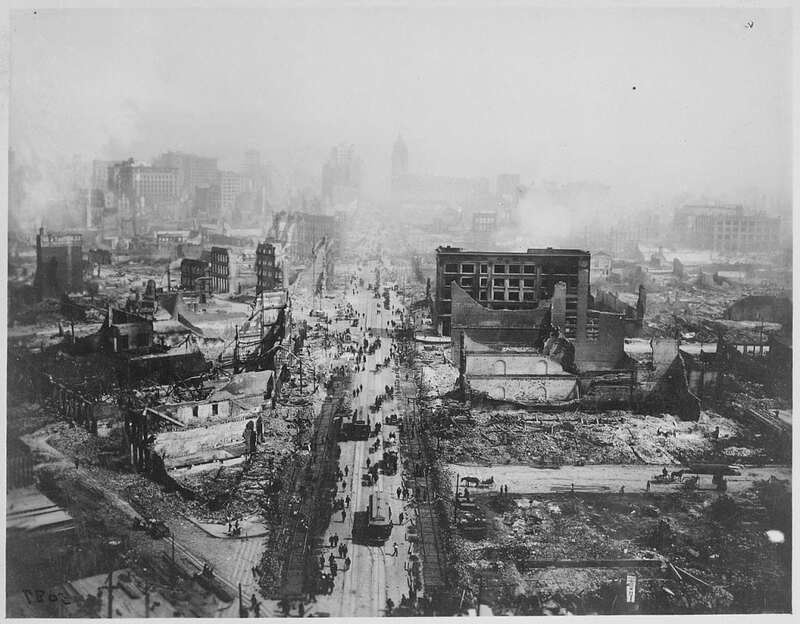 It is estimated that up to 90% of the total destruction in San Fran occurred not from the earthquake itself, but as the result of the fires that burned afterward (this fact might be a bit biased – but more on that later). 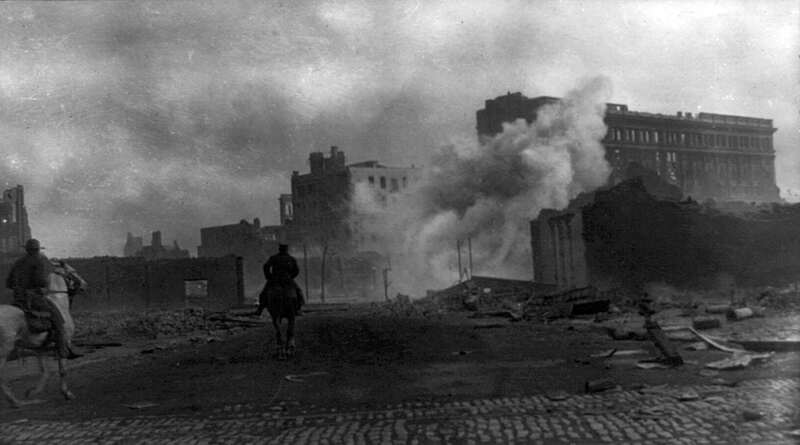 In the days following the earthquake, ruptured gas mains led to over 30 fires that destroyed 25,000 buildings on 490 city blocks. One of the most notable fires has its own name — the Ham and Eggs Fire. 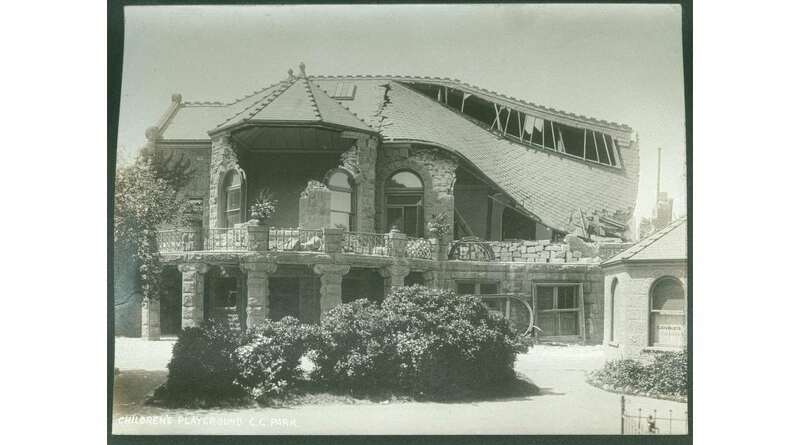 It was started by the occupants of a home on Hayes street who woke up early after the quake to cook breakfast. The earthquake had damaged the chimney on their stove, so when it was lit, the kitchen rapidly caught fire and it spread through the home and the surrounding area. The firefighters were facing some significant challenges tackling this blaze. The city’s fire chief, Dennis T. Sullivan, had died from injuries he sustained in the initial quake, leaving the city’s fire department without its leader. 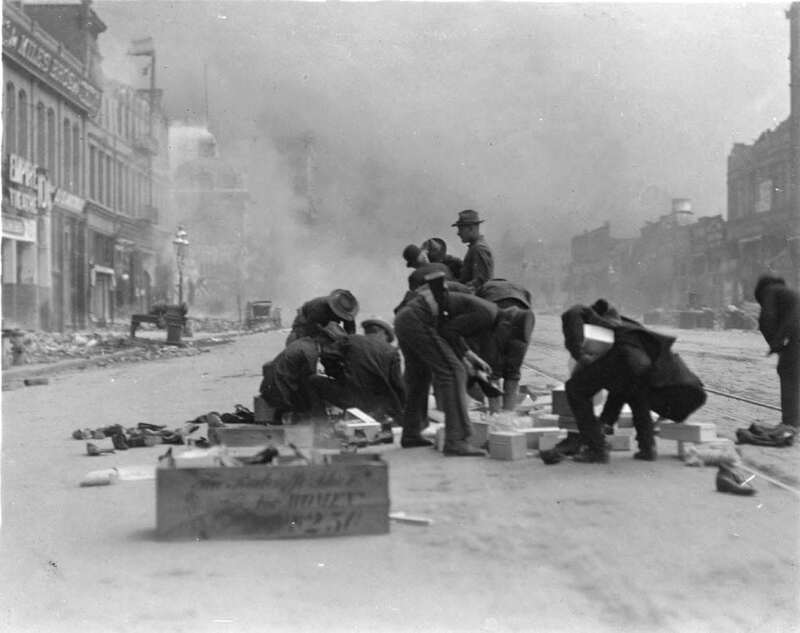 Additionally, the earthquake had damaged many water mains in the city, leaving the firefighters without the water they needed to fight many of the blazes. 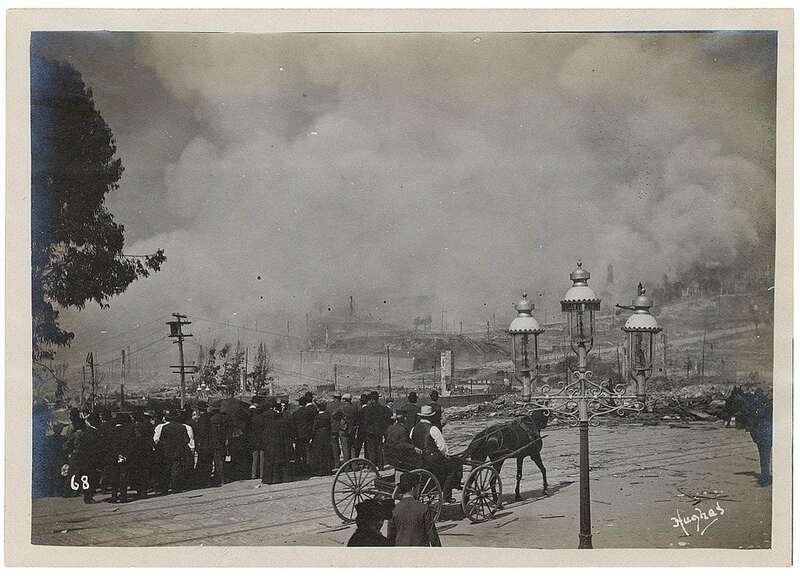 As one tactic to fight the fire, firefighters attempted to use dynamite to demolish some of the buildings to create firebreaks. Unfortunately, the firefighters were untrained in the use of dynamite, so those buildings they blasted sometimes caught fire as well. 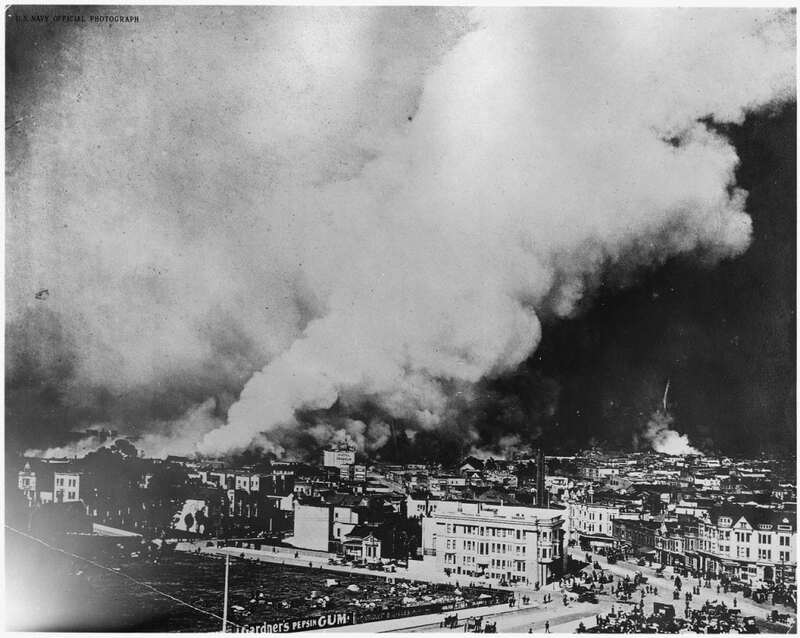 In the end, despite the valiant work of those protecting San Francisco, the city burned for four days and nights. Now let’s circle back to that question about how much of the city was destroyed by fire…an interesting account in itself. 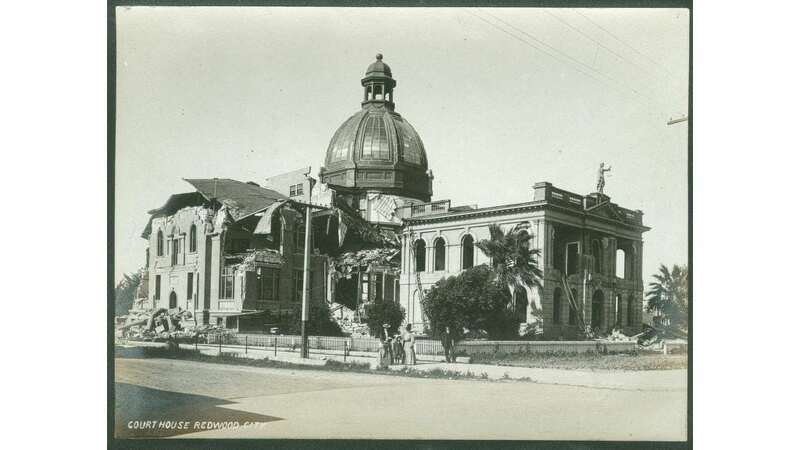 Back in 1906, insurers would commonly insure a property for fire damage, but not for damage caused by an earthquake. This contributed to how much of the city’s destruction was blamed on the fires. In fact, some property owners deliberately set fire to their own damaged properties so that they could claim the insurance on them. Either way, by fire or earthquake, the city was ravaged and between 227,000 and 300,000 people (almost three quarters of the city’s population) were left homeless, many left with only the clothing on their back as they fled their dwellings in ruins. The response to the tragedy was swift. 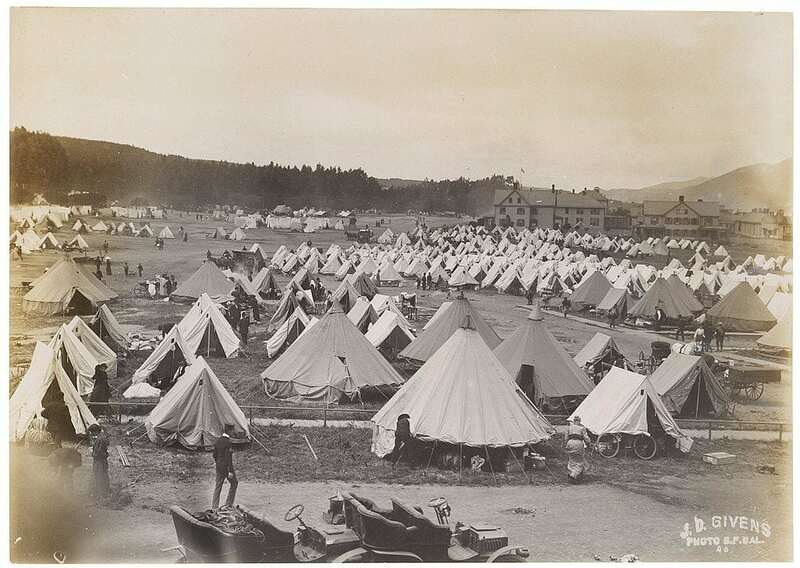 Initially, refugees were housed in tent cities in city parks and open areas. 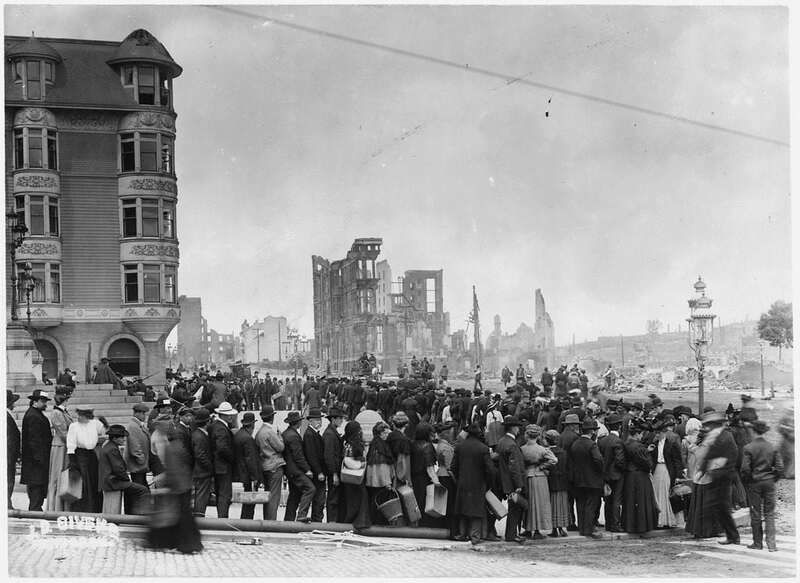 They stood in long lines for food rations and were forced to cook in streets to minimize the risk of additional fires. In fact, chimneys were destroyed in some areas to prevent people from cooking inside (the memory of the Ham and Eggs fire was still fresh in people’s minds). In the past, as now, the government is often the only organization big enough to response to a crisis of this size. In this case, the Congress enacted emergency appropriations bills to fund the relief supplies that the city would need in the weeks following the tragedy. Food, water, tents, blankets, and medical supplies were sent. In addition, funds were appropriated to rebuild many public buildings which had been damaged or destroyed, helping to facilitate rebuilding the city. 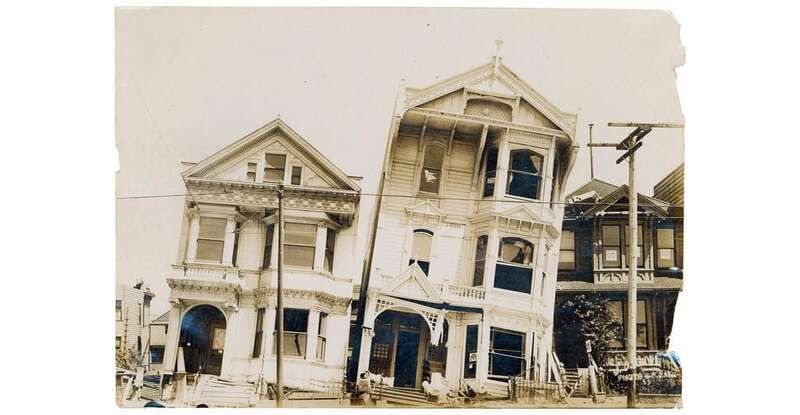 Funds were desperately needed, as the cost of the damage to San Francisco was estimated at approximately $9.5 billion dollars in modern currency. Military and law enforcement officials reacted rapidly, bringing relief supplies and helping to organize refugee camps. The job wasn’t always an easy one though. 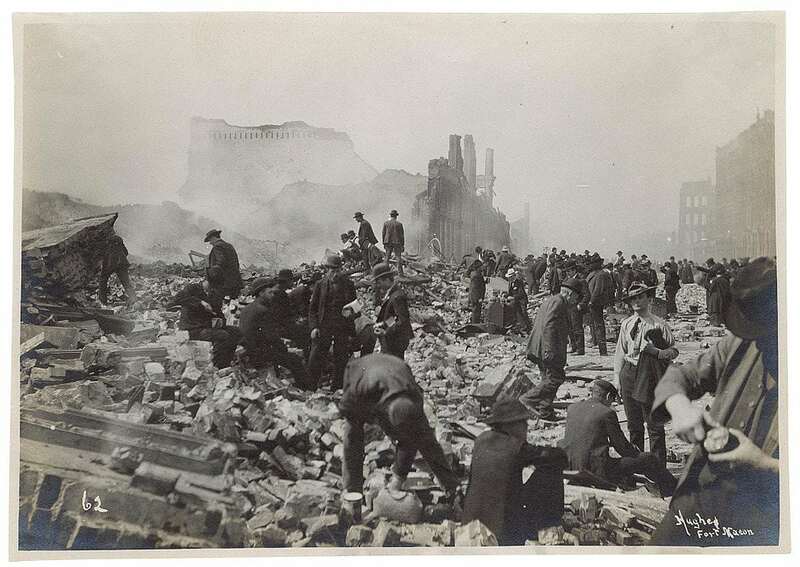 Souvenir hunters after the San Francisco earthquake. Souvenir hunters (essentially looters) were a serious issue in the time following the quake and the subsequent fire. In addition, as part of the effort to stop the fires (and minimize the risk of mob violence afterwards) tens of thousands of dollars in liquor were destroyed by authorities. As the rebuilding process took some time, refugees weren’t limited to living in tents. In the months after the earthquake (and with winter coming), the army build 5,610 “relief houses” out of redwood and fir. Showing that tiny houses aren’t a new trend, the homes were about 67 m2 (about 720 square feet) and they accommodated 20,000 displaced people in total. The buildings were all painted navy blue, partially with an aim to blend with the site, and partially because that was a colour the military had large quantities of on hand. People affected by the earthquake wait in the bread line. 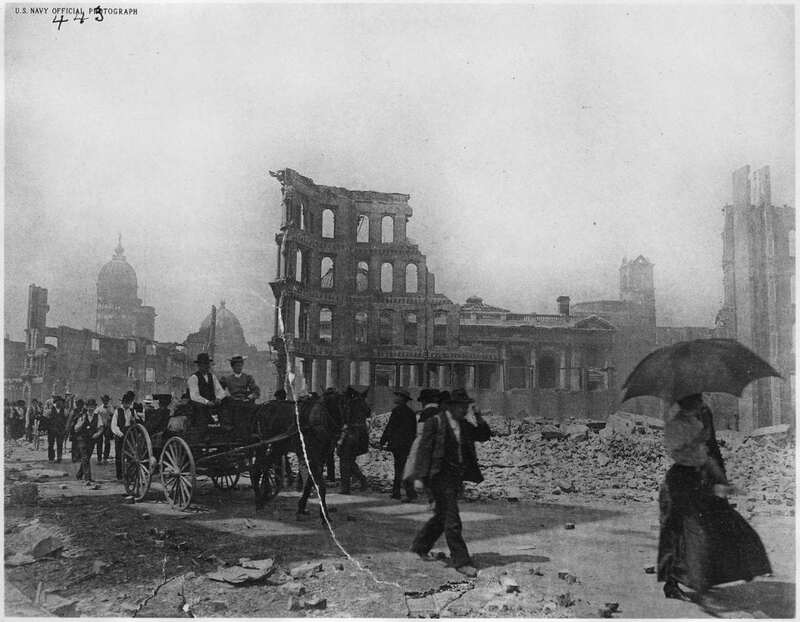 While the devastation of the earthquake was fast and fierce, the rebuilding of San Francisco also occurred at a breakneck pace. The last official refugee camp was closed on June 30, 1908. The relief houses continued to be used though, finding new lives as garages, storage space, and even shops. While many of them have been destroyed over the years, a few of the buildings have survived. Showing how crazy real estate can be in San Francisco, one was even sold for $600,000 in 2006 (a mere 12,000 times the purchase price of $50 being charged for people who wanted to buy one after the quake). 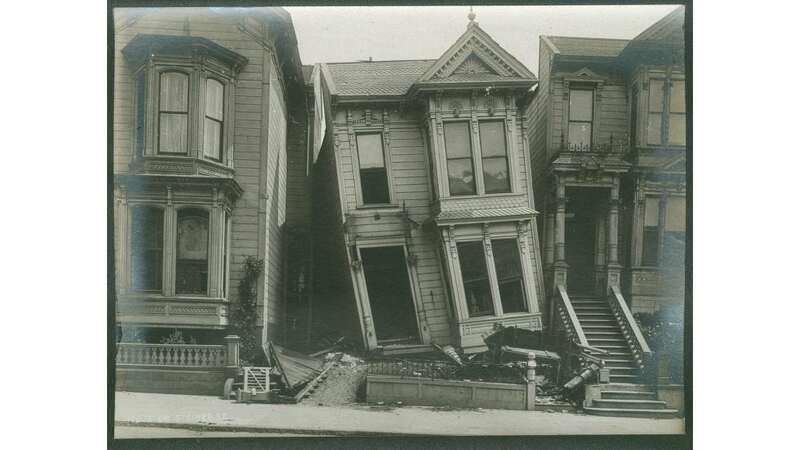 While the earthquake is most associated with the city of San Francisco, the damage wasn’t specifically limited to this city alone. Several other cities, including Santa Rosa and San Jose, experienced loss as well ­— but to a lesser degree. 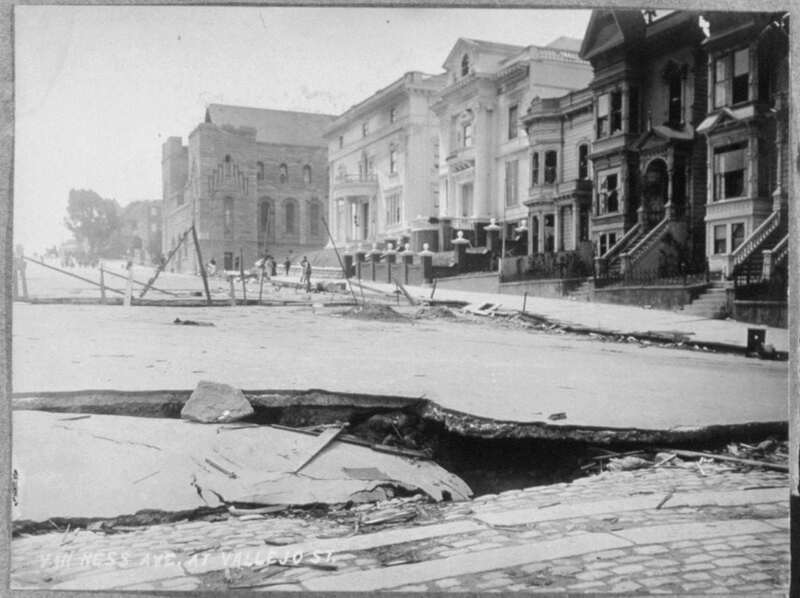 Much like the aftershocks following an earthquake, there were some surprising consequences of the great quake which show how interconnected the world was, even over a century ago. 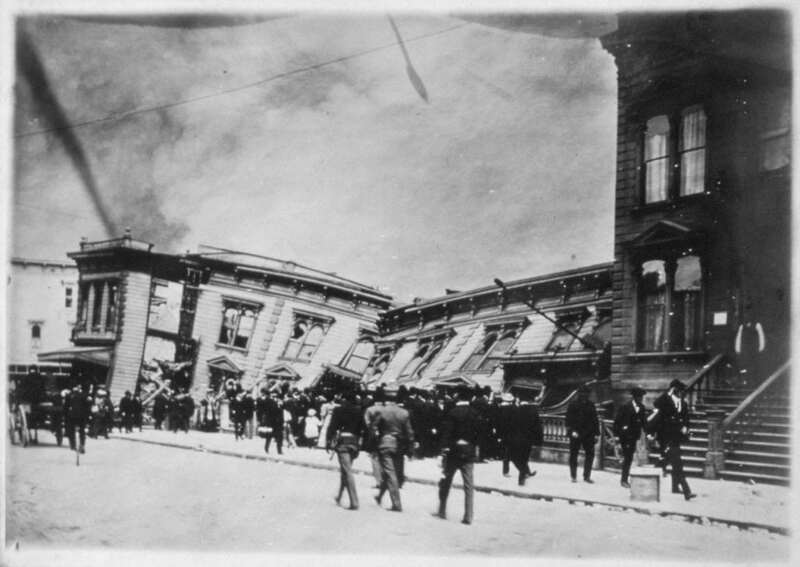 The 1906 earthquake in San Francisco was a major contributing factor behind the economic crisis known as the Panic of 1907 (or the far more entertaining title: the Knickerbocker Crisis). The financial impact of the earthquake heightened issues with stock market instability that had started earlier in the year. The massive amounts of money being paid by insurers in the UK to policyholders in San Francisco and the surrounding area led the British government to raise interest rates, further stressing the money supply and creating a liquidity crisis, risking bank collapse. The panic was finally halted through the personal intervention of J.P. Morgan, who pledged some of his own money to shore up the banking system, leading many other New York bankers to do the same. The results weren’t all bad though. One of the unexpected benefits of the earthquake was the wealth of scientific information that it offered. 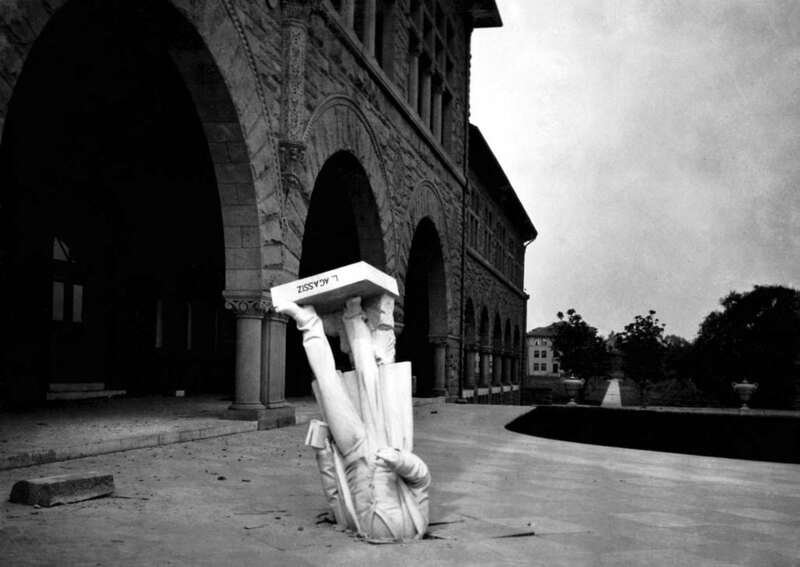 This statue of Louis Agassiz was embedded in the pavement at Stanford University. This was the first natural disaster to have its immediate results recorded photographically. 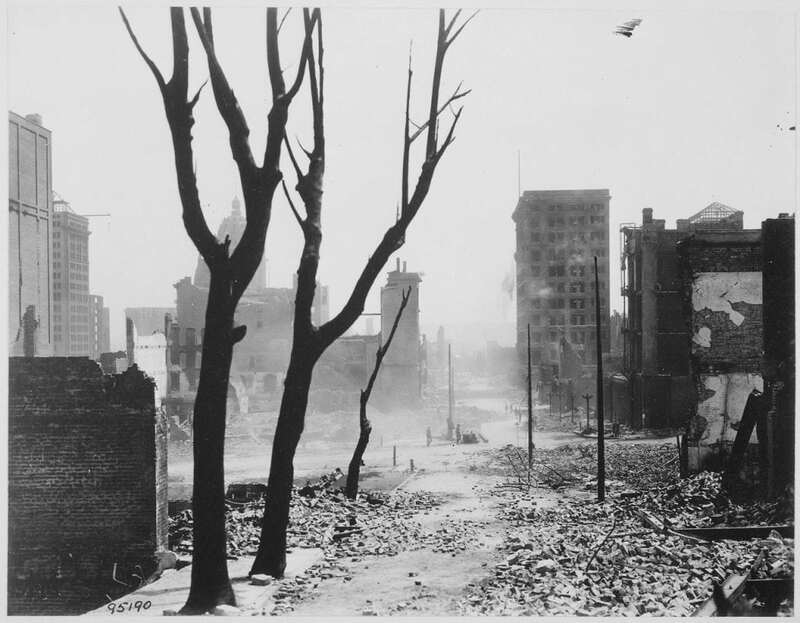 Speaking from a scientific viewpoint, the 1906 earthquake is one of the most important of all time. 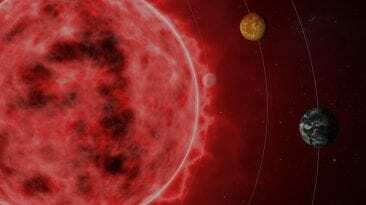 Observers of the area were astonished by the physical displacement that had occurred. The Salinas River had changed course, and the physical shift of the ground was obvious and extreme; covering a 476 km (276 mile) section of the San Andreas fault — a rupture length of a scale few people had ever experienced. 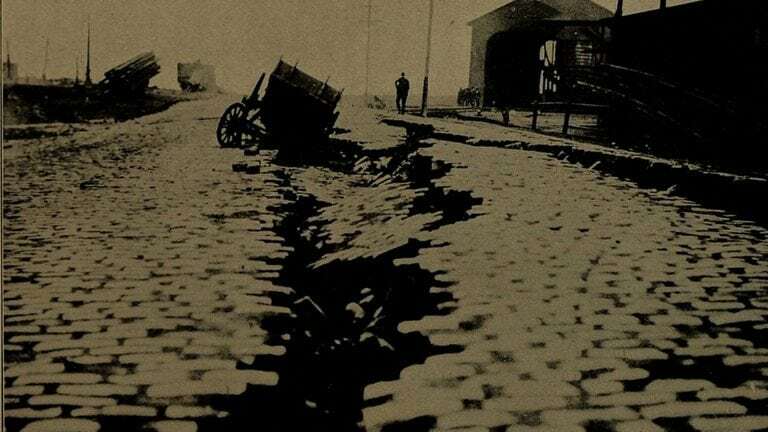 The information about the quake and how it impacted local geology helped Henry Fielding Reid, Professor of Geology at Johns Hopkins University, to develop his elastic rebound theory of earthquakes in 1910, which is still the principal model of the earthquake cycle over a century later. 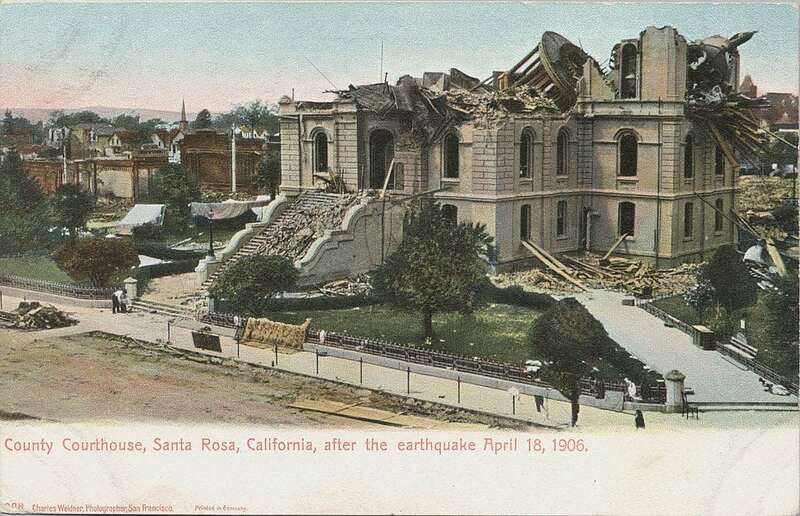 So while the 1906 earthquake caused significant damage and loss of life, the information it provided has perhaps helped us to avoid much more catastrophic damage in the time since then. The docks after the San Francisco earthquake. We talked earlier about how disasters shape the evolution of cities. In many ways, as horrible as this tragedy was, it is directly responsible for San Francisco becoming the city it is today. 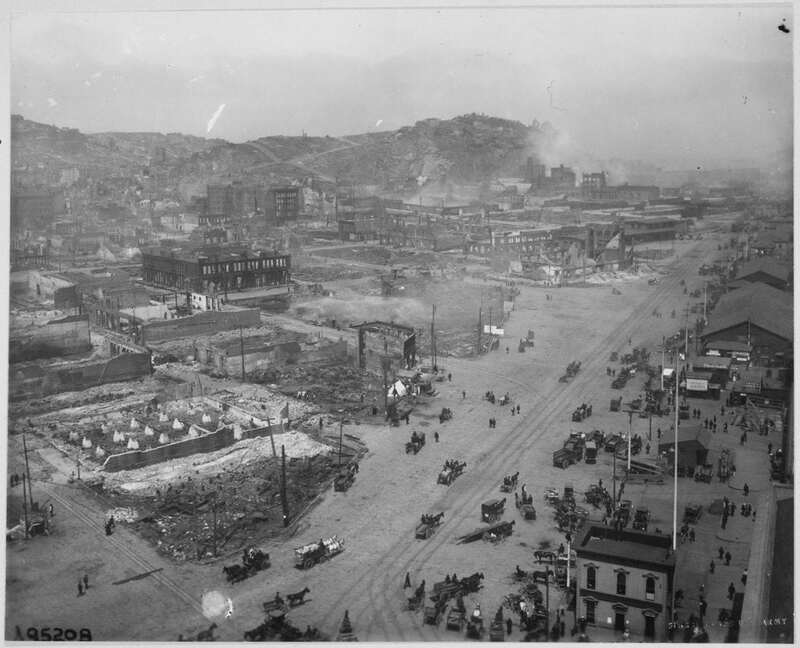 Prior to the earthquake and the devastation that followed, San Francisco was a bit of a mess by urban planning standards. Starting with the boom of the 1849 gold rush, the frontier city had grown in a bit of a haphazard fashion for almost 50 years. While the earthquake and the fires that followed caused incredible human suffering, they created a unique opportunity for San Francisco to be rebuilt with a more centralized vision of urban design. The results were commendable. 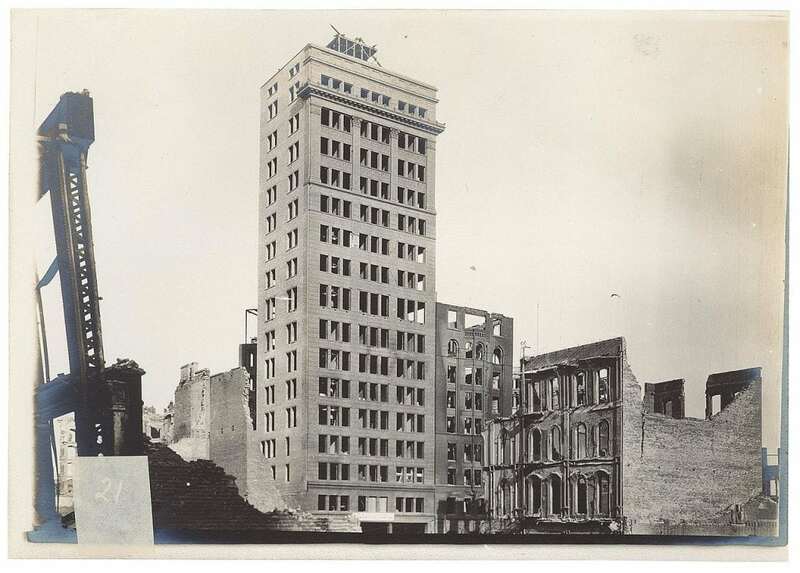 What emerged was a much different San Francisco. The old city was gray, the buildings darkened with coal smoke, a grimy city like turn-of-the-century London. Its cable cars were powered by horses, clattering down Market Street at 9 mph. The new San Francisco’s big buildings were white and sparkling. Modern electric streetcars ran on Market Street, as they still do. The old city burned coal and dumped raw sewage into the bay. 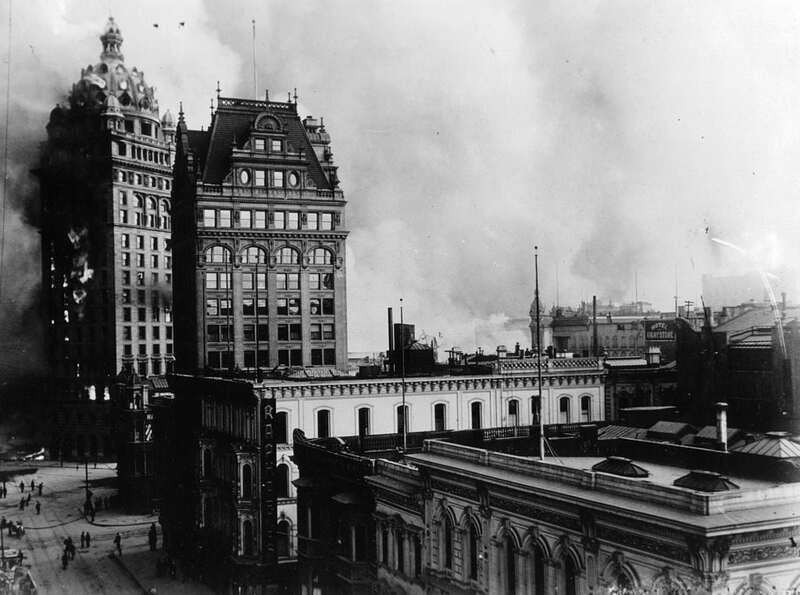 The new San Francisco was lit by electricity and heated by gas. It was as if the Victorian age had been swept away in less than a week. Although it took nine years to completely rebuild the city, it is a testament to San Francisco citizens that the city was conducting business again (though not at the same scale) mere weeks after the disaster. 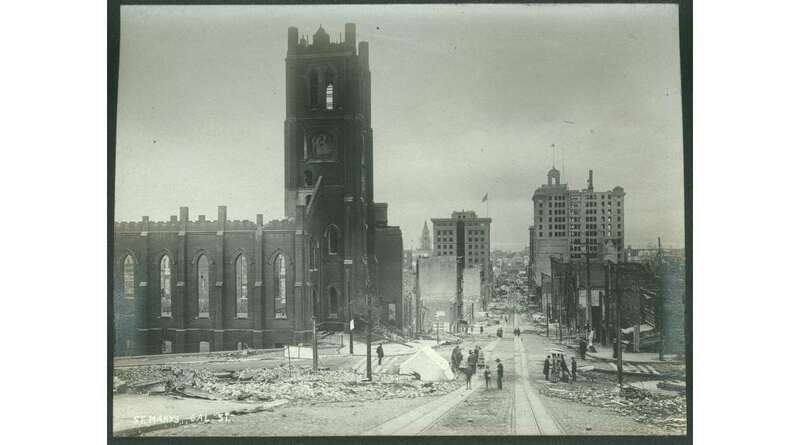 The Great Earthquake of 1906 both shook and shaped the evolution of a city. Through the courage and hard work of those who took part in rebuilding it, its tragedy became the foundation for the modern city we know and love today: a San Francisco which is known around the world.